Joey is analytical and detailed oriented. She has been working for more than 15 years in the marketing and administrative field. 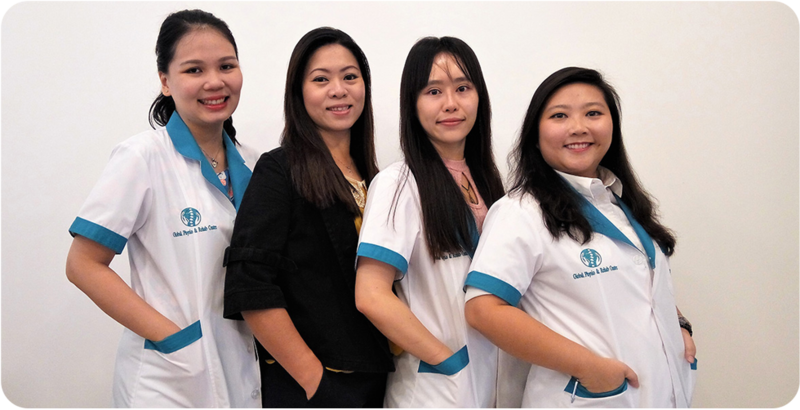 After her last job in an oil and gas company, she decided to move out of her comfort zone and venture into the healthcare field. For the past 3 years, she has witnessed the importance of rehabilitation for those in pain. She strives to deliver high quality services that meets the needs of every clients. Having suffered from wrist injury herself, she understands the process of rehabilitation and the importance of how clients feel throughout the process. She hopes to bring warmness and make every client feels cared for. 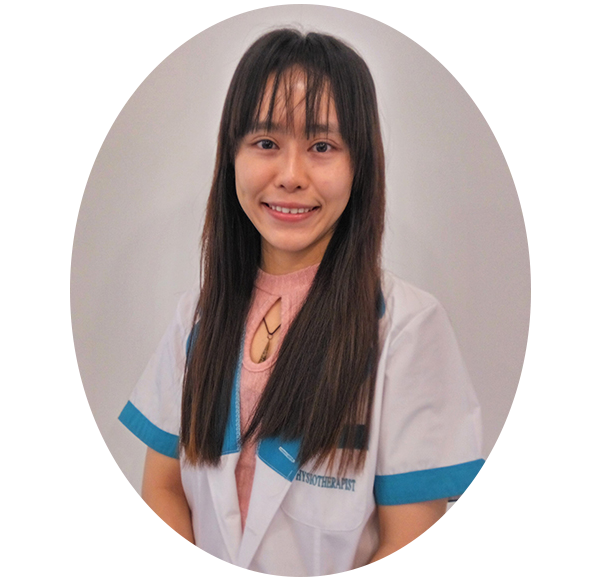 Mun Mun graduated from Asia Metropolitan University with Bachelors (Hons) Physiotherapy in 2016. After graduation, she joined a private clinic, which specialized in spine care. Throughout her 2 years there, she was exposed to a diverse range of musculoskeletal and spine conditions. She was also trained to print custom made foot orthotics under a famous doctor. She is very result driven and strive to achieve the best outcome for her clients. 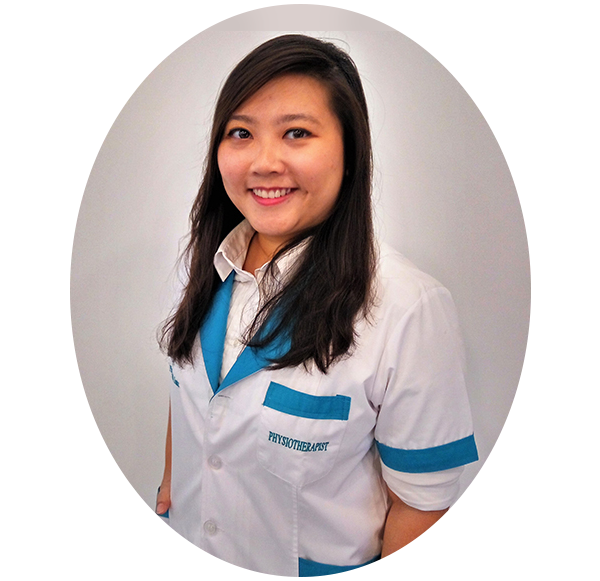 After completing her undergraduate studies in Physiotherapy in 2012, Ai Sing joined UKM Medical Centre. During her 6 years there, she was exposed to a variety of clinical conditions including Musculoskeletal, neurological, pediatrics and post-operative management cases. She also had the opportunity to undergo regular training sessions conducted by visiting renowned therapists from overseas. Ai Sing has a strong desire for continuous learning. In 2014, she decided to further her studies part time for 3 years and completed her Bachelors (Hons) Physiotherapy with dual certification from Anglia Ruskin University (UK) and MAHSA University. 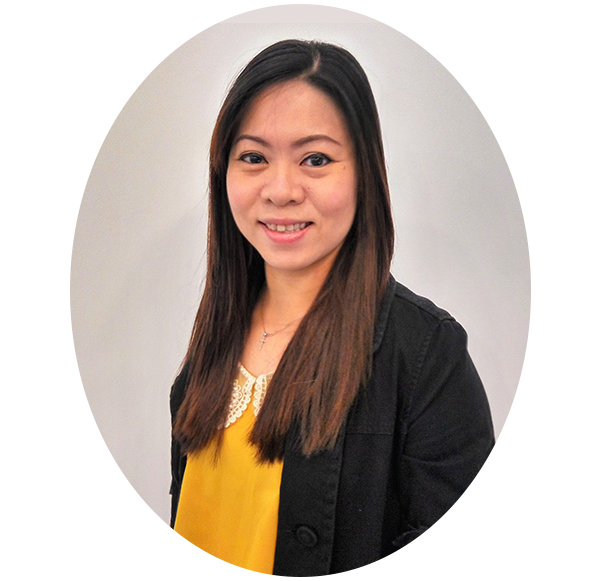 Mei Ling graduated with Bachelor of Physiotherapy (Hons) in MAHSA University and Anglia Ruskin University (UK). 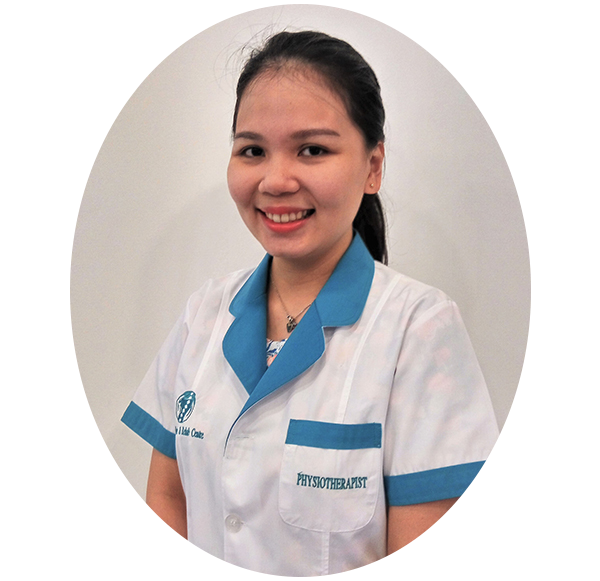 She has been practicing as a physiotherapist with clinical experiences in Malaysia’s general hospitals and private healthcare in sports, musculoskeletal and neurological conditions. She is showing great passion in this line of field.